When you venture into new territory you start by learning the basics. When it comes to Facebook Messenger marketing – it’s all new territory. 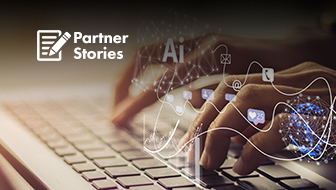 Add to that the changes that went into effect in May, care of the European Union’s General Data Protection Regulation (GDPR). GDPR outlines rules that you follow to ensure you remain compliant or face fines that start at €10 million. 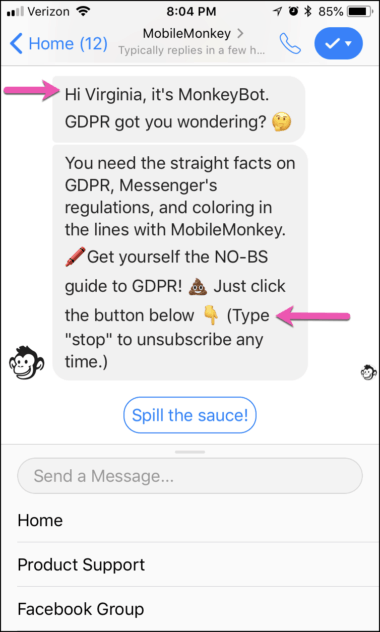 So consider this your go-to guide for Facebook Messenger marketing and GDPR issues. After we review the rules of the road, we’ll take a little test drive. 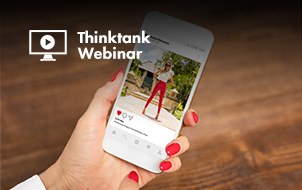 I’ll show you how to unlock powerful new marketing achievements with Facebook Messenger marketing while remaining fully GDPR compliant. Let’s start with a quick review of the basics of the GDPR and the rules for marketing through Facebook Messenger. This ensures you can stay on the right side of the law and that you don’t violate any Facebook requirements. There’s a lot of information covering the details of the GDPR, some of it easier to digest than others. Luckily, the basic concept is fairly simple. This means you are required to obtain consent to receive messages using an opt-in model. It also means that you’re agreeing to keep all customer personally identifiable information safe. And, super important: you have to be able to honor all requests to have customer data removed. A good Facebook Messenger marketing platform will have all the above functionality built in. The GDPR applies to every citizen in the EU, regardless of where your business is based. If you do business in the EU or have personal information about EU citizens, then these rules apply to you. Facebook also sets rules and issues guidelines that apply to Messenger marketing. So keeping them in mind is crucial if you want to make the most of the platform without getting in trouble with the social media giant. As Facebook has said, you must give people control over the messages they receive. It’s easy to create an opt-in chatbot where your contacts confirm what kind of communications they’ll receive. When Facebook released its API for Messenger, it established some ground rules for businesses to prevent spam on the platform. One of those rules is called the 24+1 rule. A business page can send a new contact any number of messages during the first 24-hours of contact. Once that period is over, the page can send one promotional message after that. However, if the user engages with any message (that is, messages the page, including button clicks), the 24-hour clock is reset. 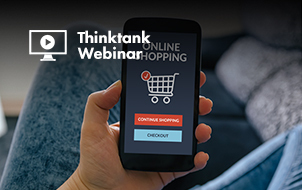 Catch that non-promotional subscription purpose? 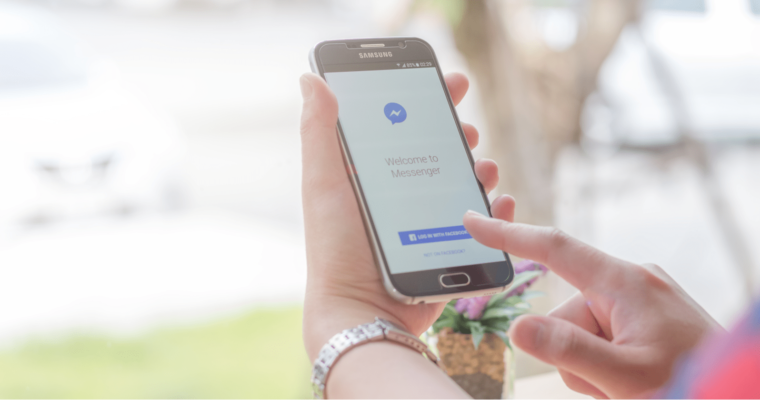 Businesses can apply to the powers of Facebook Messenger for subscription messaging status, and when approved, can send opted-in subscribers updates. There’s actually a December 31 deadline to apply for subscription messaging status. If you use MobileMonkey (disclosure: my employer), you don’t have to stress about managing the unsubscribe process; you get a comprehensive solution right off the shelf. 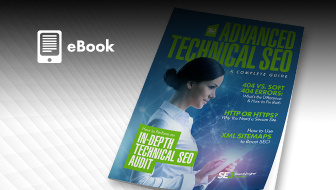 Otherwise, you’ll need to develop that feature and ensure subscribe requests are managed in a timely fashion. The easiest way to understand the steps you need to take to remain compliant is to see its creation in action. 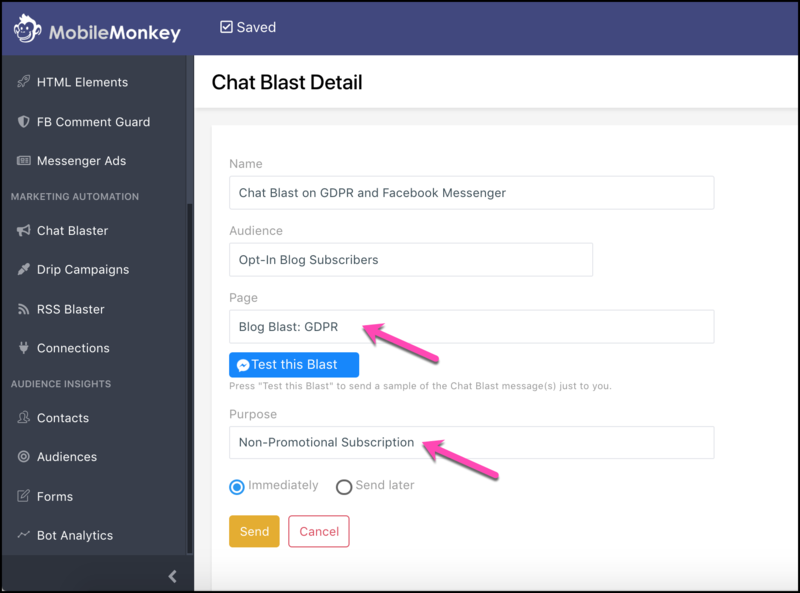 Let’s look at what building a GDPR and Facebook Messenger compliant chat blast looks like in practice, using the MobileMonkey chat blaster tool. When someone sends your page a message, they become a customer profile. When they became a contact. Because Facebook’s rule is that you can send an automated message to your new contacts, use the opportunity to invite them to get subscription messaging updates. Here’s a quick look at our opt-in process. It’s the same steps as you’d take to create a free Facebook Messenger chatbot with some special notes. You’re going to invite people to sign up for updates, giving them options to tap a button for “yes” or “no”. If the user taps, “Yes, sign me up!” they have opted in, allowing you to send additional content. 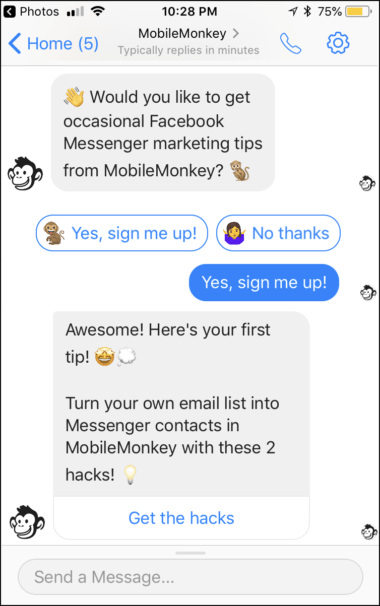 When you create chat messages in MobileMonkey, it’s similar to crafting an email using MailChimp. You use a visual content builder and add content with widgets. The available widgets allow you to add different kinds of content with a simple drag-and-drop approach, letting you reorder the content with a drag and swipe. Quick Question is my favorite widget because it encourages user interaction – easy responses via the tap of a button. Take note of the attribute “BLOGSUBSCRIPTION” that saves to contact profiles. We’ll use that attribute to create the custom audience segment. Now, it’s time to curate a custom Messenger audience. This creates a contact list of message recipients. 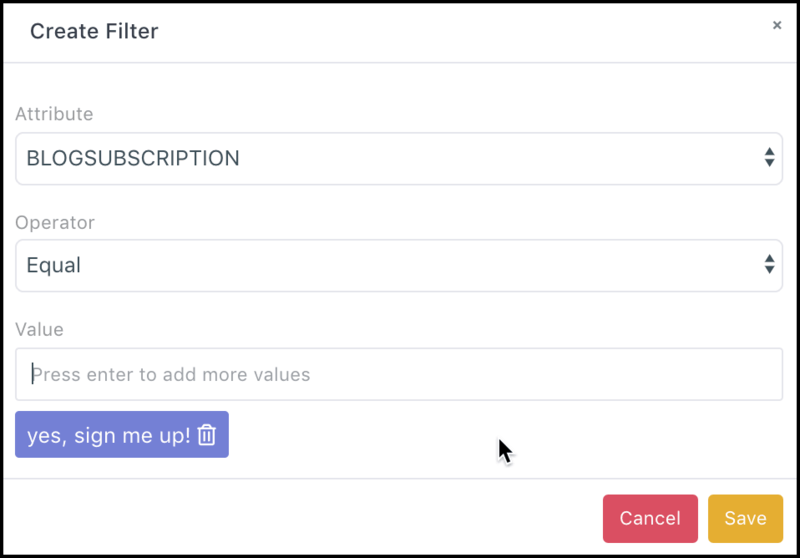 From the audience builder, create a new audience and filter your contacts with the attribute of made in step 2 and the value “yes, sign me up!” that reflects an opt-in subscriber. For the next step, we’re going to send a message to subscribers that adheres to Facebook Messenger subscription messaging and GDPR guidelines. Use the chatbot builder and, like when you created the opt-in page, create a page using widgets. Check it out here for an example chat blast that’s personalized with the customer name and includes a statement on how to unsubscribe. How does unsubscribe work in Facebook Messenger? MobileMonkey handles it for you. Don’t worry about programming anything. Just let people know that they can type “stop” any time to unsubscribe from messages. 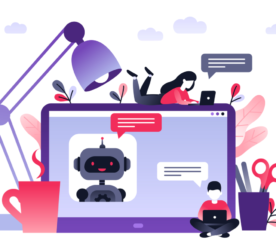 Create a new chat blast from the chat blaster, give it a descriptive name and use the drop-down selectors to choose the audience you’re sending the blast to and the page of content you’re sending. 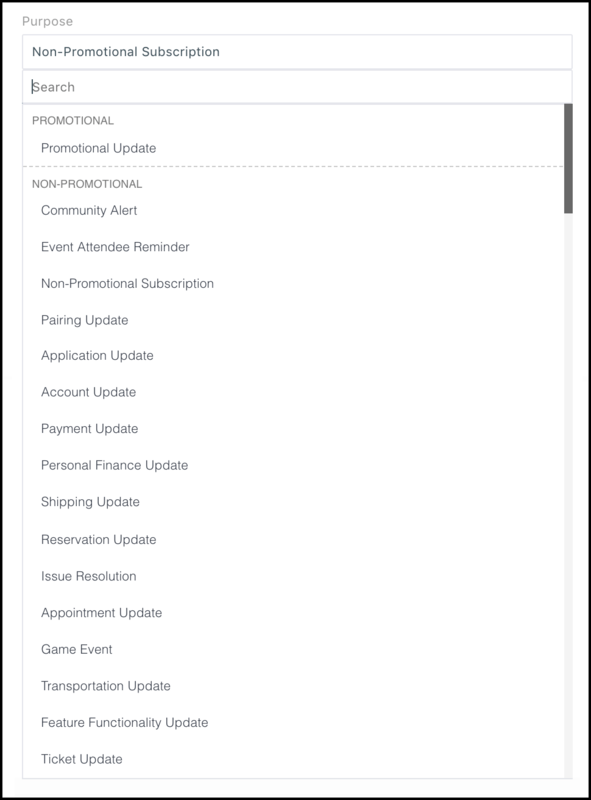 All your audiences and pages will be available to pick from a simple and searchable drop-down menu. You need to identify the purpose of the content. Facebook requires you to provide the purpose so messages can follow rules surrounding promotional and non-promotional messaging. Now you can see how straightforward it is to create a chat blast. It only takes a couple of minutes and zero coding on your part. When it comes to engagement, Messenger is hard to beat. 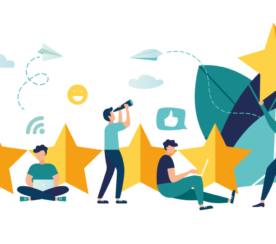 The open rates are incredibly high, to the tune of 80 percent, and the active response rate – people clicking on content – is often 20 percent or more. Because people message your page first, people are open to receiving follow up content. That’s one reason engagement is so high. Also, the unsubscribe process is quick and reliable. When a person gets a spam email, there’s no telling if the sender will honor a removal request. On Facebook Messenger, all unsubscribes are overseen and managed by the software ensuring your business is compliant. 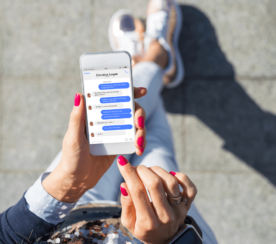 Any marketer who wants to offer personalized content that leads to higher engagement will find an exciting world awaits in Facebook Messenger. Keep in mind these simple tips and your messages will pass Facebook Messenger and GDPR muster, too.